Story line: When Jess sets sail on a yacht with a group of friends, she cannot shake the feeling that there is something wrong. Not long after received mysterious help signal, the yacht hits a storm and a friend is missing, they finally survive after go through struggle and board on a passing ocean liner. It is a mysterious missing cruise ship in 1930, and looks unexpectedly empty but Jess is convinced that she's been on before. And, their misery is just starting. What appears next are mysterious killer, blood on mirror and continuous death, brings this group people in danger, and let Jessie stuck into endless cycle of struggle. can they escape from the suffering in the end? Great creativity, fresh story line, and suspicious details deeply expressed the audience. Just as said on the poster, it will twist you and terrify you over and over. If you are a horror movie fan, this is definitely a good one you can't miss and worth to backup. 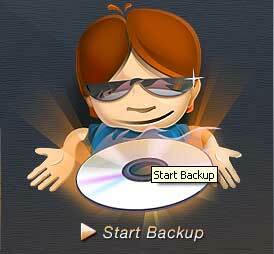 DVDSmith Movie Backup is such a free DVD backup software that can copy DVD to hard drive. You can use this software in combination with Any DVD Cloner to copy DVD to DVD, or rip DVD to popular video formats to play on mobile devices with Any DVD Cloner Platinum, or even edit the DVD folder and make your own movie creatively with Any DVD Converter Ultimate. Copying Triangle to hard drive is pretty simple. Just a few clicks, you can finish this task without any quality loss. Herewith the instructions. Then you can find the DVD on "my computer"
Full disc will backup all contents from the DVD, including main movie, bonus features, and maybe some other extra video clips. Main movie will only copy the main movie part of DVD. All DVD drivers will be listed in the drop down list. Select the drive where the movie DVD is inserted. Choose a disc on computer where there's enough space to put the backup files. If the default disc don't have enough space, you can press button to change output folder with enough free space in the disk. Step 5. Select Copy Method. Normal: For unencrypted and CSS encrypted DVD. Lowly Enhanced: less scan times to decrypt DVD. 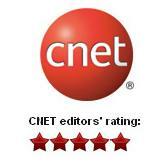 Highly Enhanced: more scan times to decrypt DVD. Press "Start Backup" button to start the DVD copying process. Press "Stop Backup" button to stop the DVD copying process. Click here to watch the video tutorial.